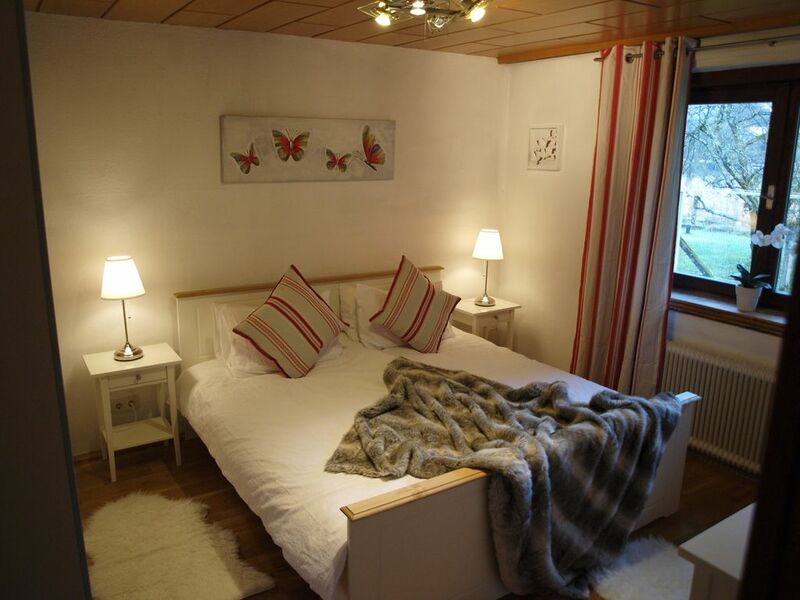 Charming house in Hallstatt with 3 bedrooms - 2x double bedrooms plus a children's bedroom with bunk beds and an everyday double sofa bed in the lounge. The house is just a 5 minute walk from the oldest salt mine in the world, a 10 minute walk from the centre of Hallstatt and just minutes by car to the superb Krippenstein ski area and Dachstein. Just over 1 hour by car from Salzburg airport. Sleeping 9-10 people the house also has a sauna and an outside dining area with barbecue/oven plus a large garage as well as further parking. There is a nice enclosed garden with garden furniture and a swinging seat. And for late summer, one can enjoy fruit from the pear tree. Large screen Smart TV with internet and movies. Wireless internet also available. Music system, selection of CDs, board games, first aid kit and a sewing kit also available for use. A perfect holiday for a family or a group of friends visiting for a relaxing break, ski-ing or culture. toilet, Toilet only plus sink. shower, Shower only in sauna room. Wonderful home in perfect location! We had a wonderful time exploring Hallstatt and the mountains and towns around it from this wonderful home. It is located on a quiet lane a short walk into town at the base of wonderful wooded trails. We can’t wait to come back! I am glad you had such a wonderful time in Pear Tree House and that you enjoyed the area so much. I look forward to welcoming you back in the future! Our family enjoyed the quiet feel and beauty surrounding the Pear House. We were warmly welcomed and well informed on the house. It was only a couple minutes walk to the grocery store and old town. This charming house was perfect for our family of six. We loved everything about this place. The kitchen and patios were very comfortable. Great location and could walk easily to downtown. Beautiful views. The beds were comfortable too. Best sleep of the whole trip. We would highly recommend this place. Very lovely home with great views all around, privacy,and the quiet away from the crowds of hallstatt. Sauna worked well as was a nice amenity. Balconies front and back, overlooking sunrise and animated river. Didn't mind stairs to work off food while on vacation. Bed linen & towels, p.p.